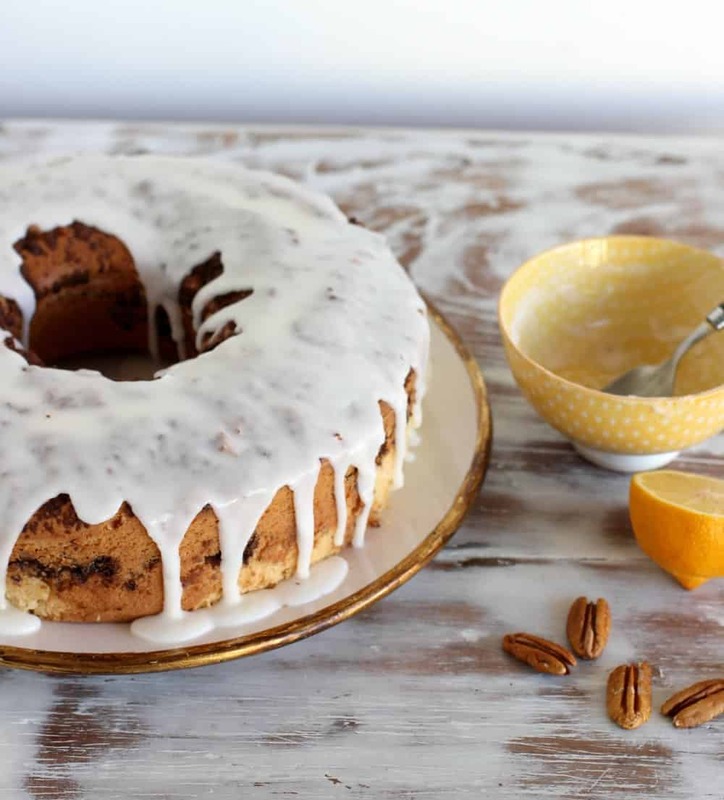 As far as cakes go, this cinnamon pecan coffee cake is the stuff of dreams. Really. 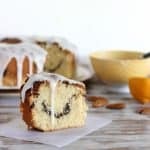 Coffee cakes are in itself a wonderful breed, so full of ingredients we love, glazed to add just the right touch of extra flavor and with that streusel crunch that I know we all secretly wish we had more of. This one checks all of them and adds another one, a crumb texture and flavor that is one of the best ever. I tell you, it’s the stuff of dreams. I’m used to the extra dense, extra rich coffee cakes, the type that makes the brunch table. I always go for the coffee cake in a brunch table, always. 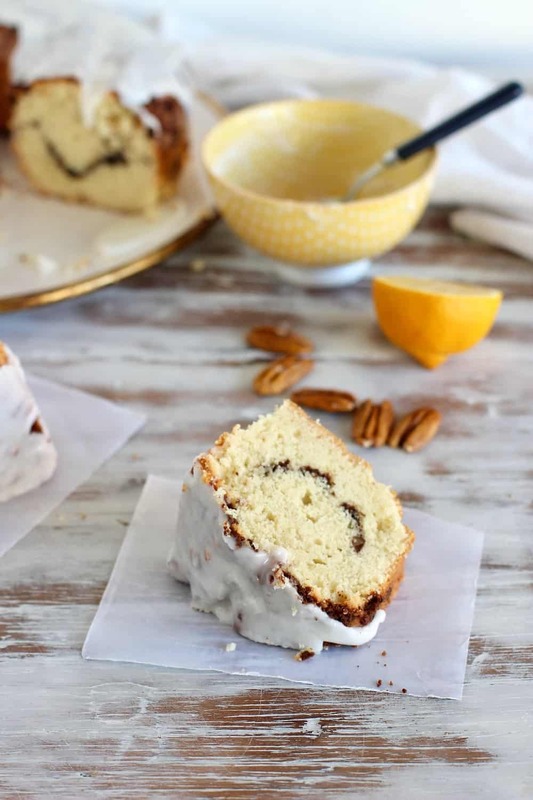 This recipe has similar ingredients but is lighter, more birthday cake than dense coffee cake, yet, make no mistake, remains a solid, amazing, worth every calorie cinnamon pecan coffee cake. The streusel layer has pecans, brown sugar, and some cocoa. The combo with the cinnamon is outstanding as we all know. Nothing new here. 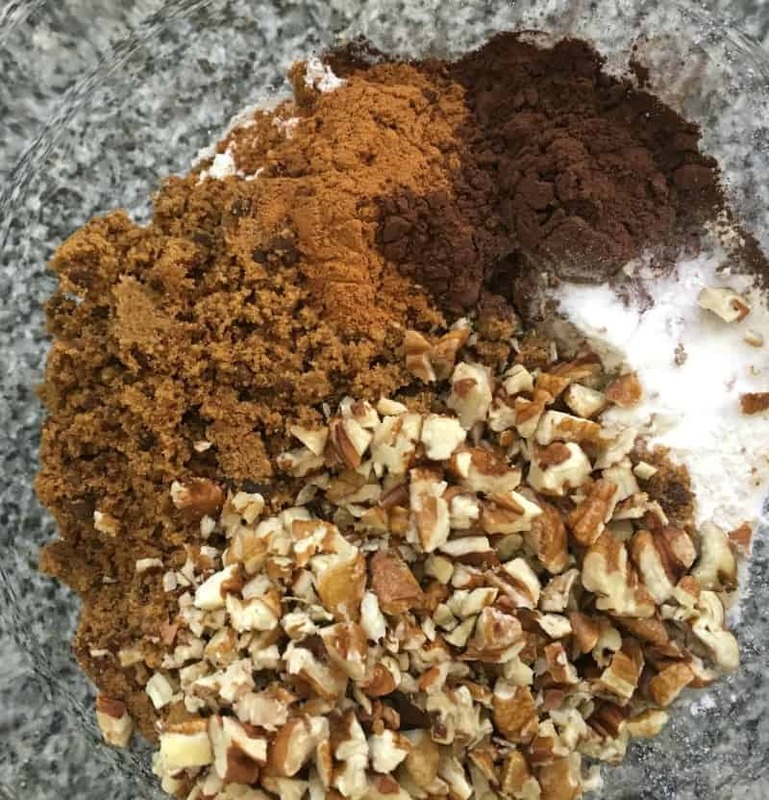 Pecans or walnuts can be used interchangeably. Makes little difference in my opinion. I like toasting them a little, just a bit since the flavor deepens, but not too much since the upper layer will be in direct contact with the heat and if your nuts are very toasted they will even more by the time you take out your pecan coffee cake from the oven. But that’s really a thing I have. I toast nuts. Almost always. 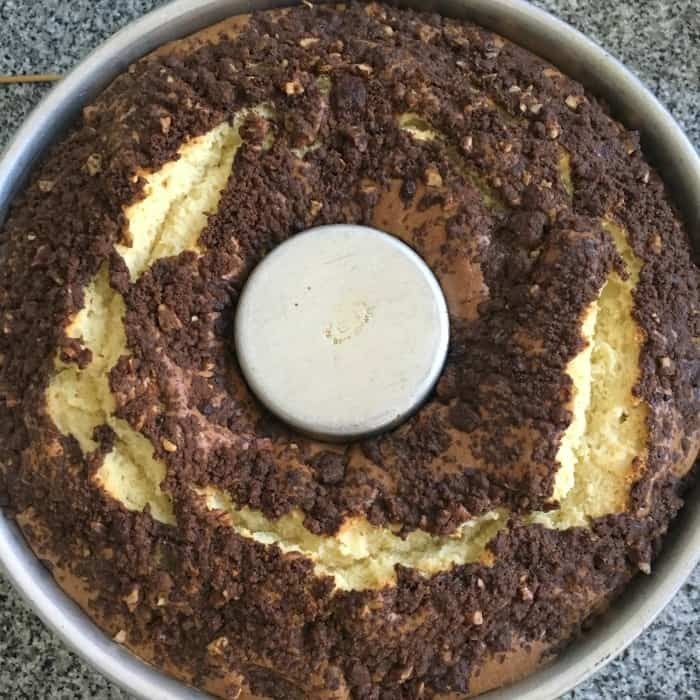 The glaze is a simple powdered sugar + some kind o liquid – juice, liquor, milk, cream – which works wonders with this type of cakes. My particular favorite is lemon juice because it cuts a tiny bit through the overall sweetness. And it makes the glaze stay white which I like. Not that I would trade flavor for color, but it’s two birds with one stone. 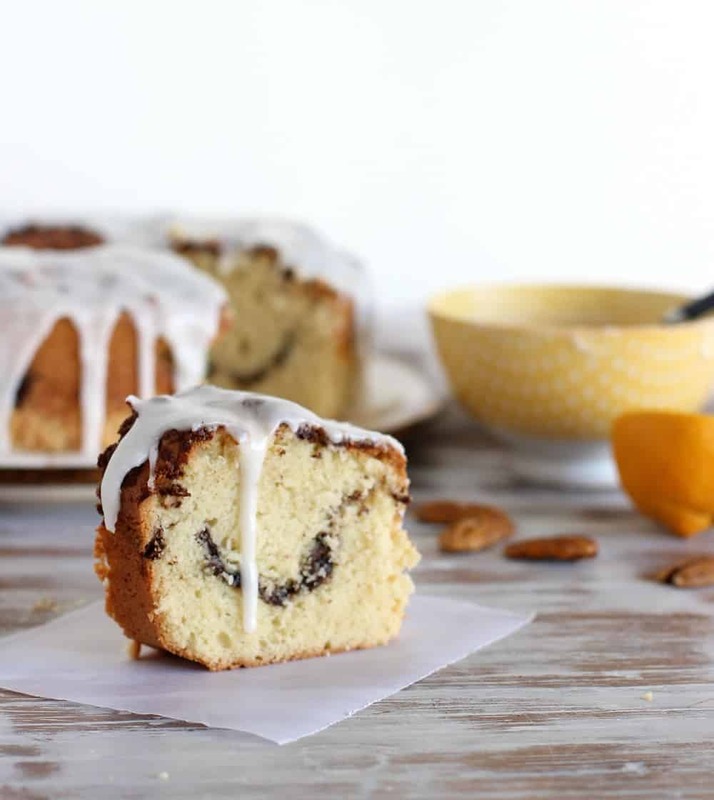 So, the amazing crumb and flavor, the crunchy streusel we all want more of, and the glaze with a touch of acid make this cinnamon pecan coffee cake an absolute winner. You might even like it better than your favorite one. You should try it. You can add some citrus zest to the batter, orange or lemon work very well. Juice of 1/2 lemon aprox. Mix all dry ingredients, all the butter and work with your hands until it is clumpy with no dry spots. Add pecans and mix. Reserve. 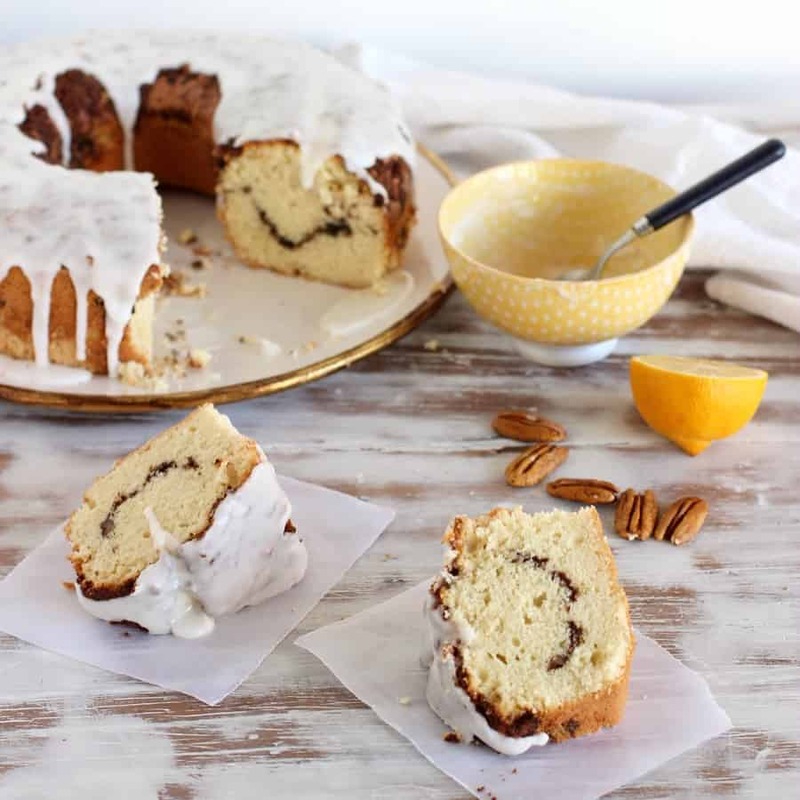 Butter or spray a 10-inch bundt or tube cake pan and line the bottom with parchment paper. In a large bowl beat butter and add sugar gradually, beating until creamy, 2-3 minutes. Add vanilla and eggs, one at a time, beating well after each one. You can sift dry ingredients separately or sift them directly over the butter mixture (as I do). Add flour, baking powder and soda, and salt in 3 parts, alternating with the sour cream in 2 parts. Mix well and put half this mixture in the prepared pan. 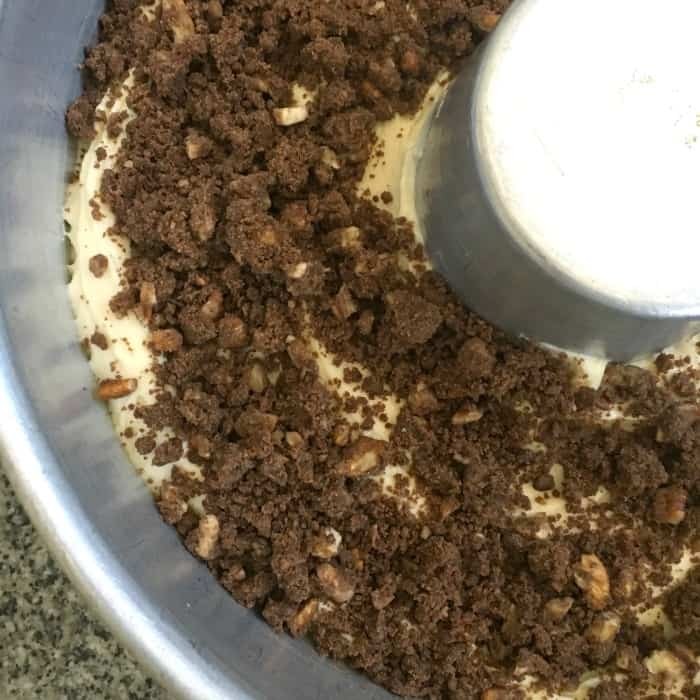 Smooth it with the back of a spoon and add half the streusel mixture over it. Add the rest of the butter mixture by tablespoons and carefully smooth it with the back of a spoon (if it sticks dampen the spoon). Add the rest of the streusel over it. Bake for 50-60 minutes, until a tester comes out dry. After a few minutes use a flat knife to carefully loosen the borders that might be stuck due to the sugar in the streusel. Mix ingredients in a bowl until creamy. Pour over cold cake and let drip down the sides. It keeps for a few days, well wrapped, at room tº. My mouth is watering :-)) Can’t resist anything with streusel!